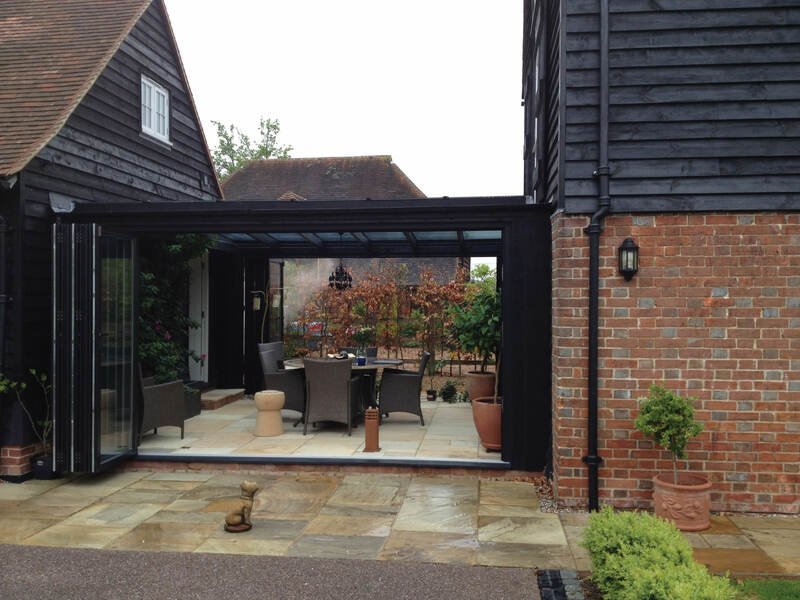 Installing timber bi-fold doors into your Essex home will give your living space a new lease of life and add huge benefits that the whole family can enjoy. 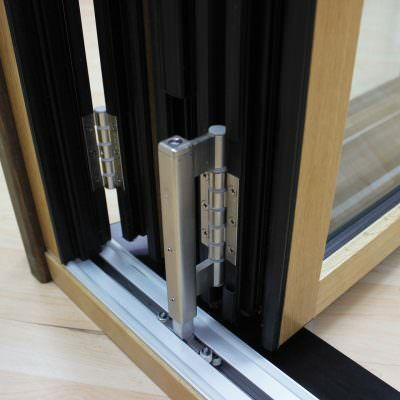 Visit our online quoting engine to get a free, instant and competitive timber bi-fold doors price. You can also get in touch with us via our online contact form should you wish to speak to a member of our team about a quote. Increase the amount of natural light in your home by installing timber bi-fold doors that exude a luxurious and high end feel. 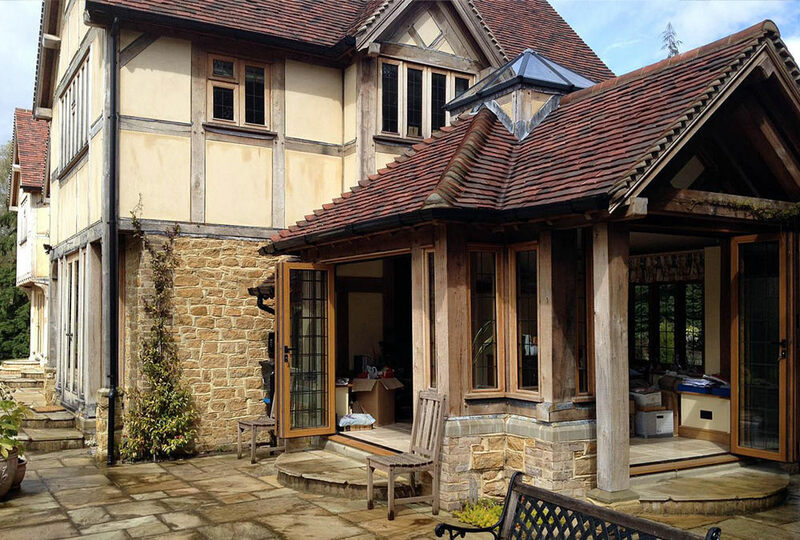 Our timber bi-fold doors by FSD are expertly designed to concertina back on themselves to create a space-saving, stunning focal point that opens up an entire wall of a home to the outdoors. When it comes to colours and finish, our timber bi-fold doors can accommodate any possible colour that will best complement your home. Whether you’d like a subtle and seamless blend with the surroundings of your home or something more stand out and bright in contrast. At Seemore Glass, we can create a custom-solution that is bespoke to your home, creating a beautiful finish. 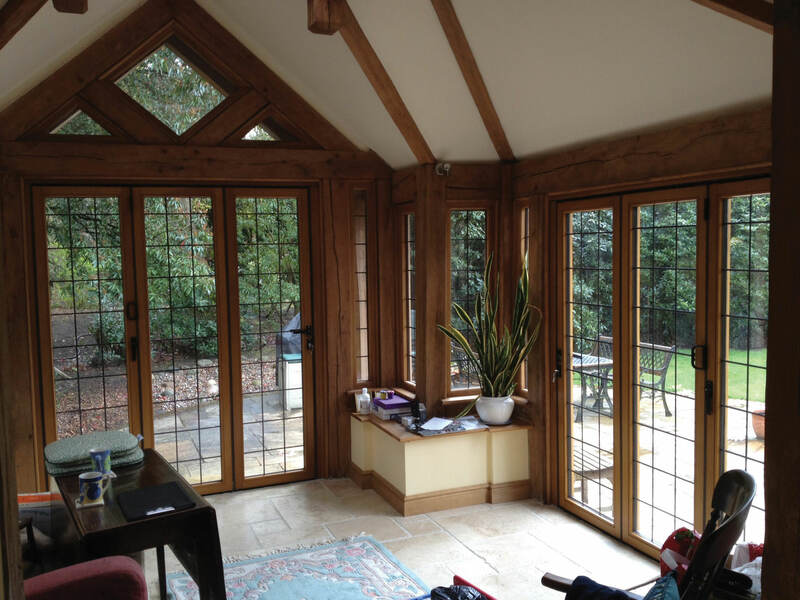 Timber bi-fold doors can work as a style statement and can transform any living space dramatically. Removing the boundary between one living area and the outdoors, it can make your home feel open plan. They are the perfect solution if you’re looking to bring a bright and spacious feel to your home. 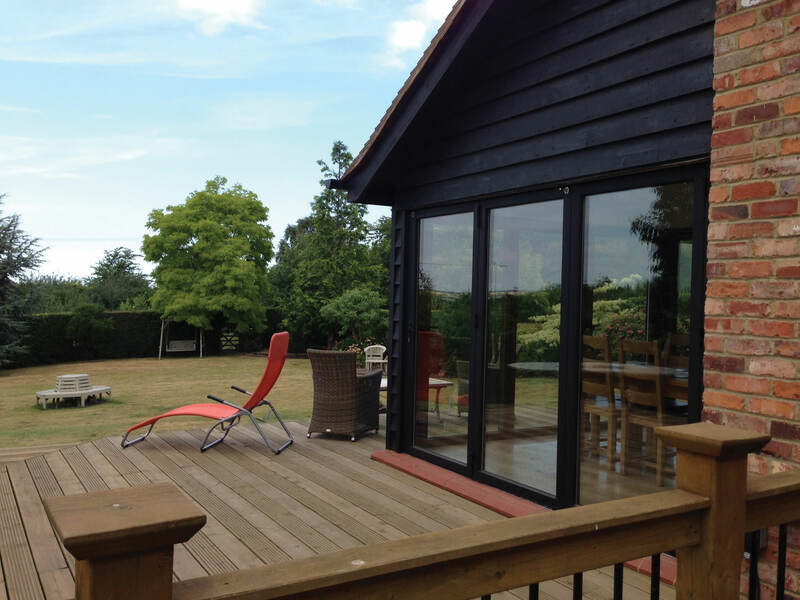 Adding timber bi-fold doors to your Essex property makes it a bright and airy place to be, which helps you rely less on artificial lighting and instead take enjoyment from the increased sunlight and scenic views. 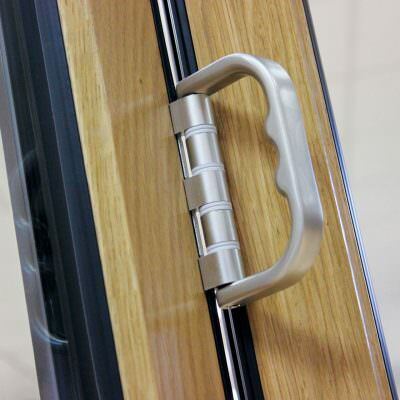 With this, you'll be able to redefine your living space with a new set of doors. Our bi-fold doors create an excellent opening to the garden space, letting you enjoy the full force of nature from the comfort of your home. 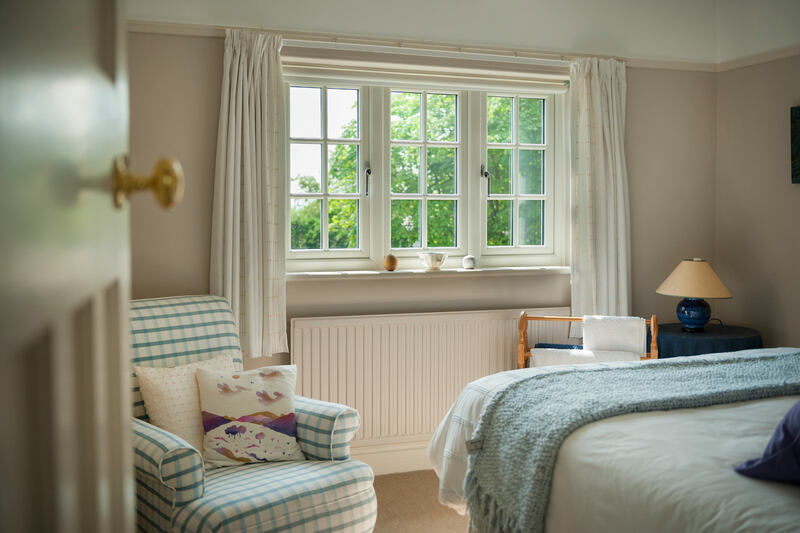 In the warmer months you can open the doors to invite fresh air and smells in, whilst in the winter you can keep them closed to seal in warm air and watch the seasons change. 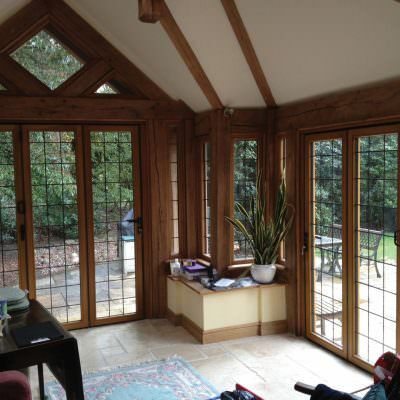 If you think your home doesn’t have enough space for timber bi-fold doors, think again. 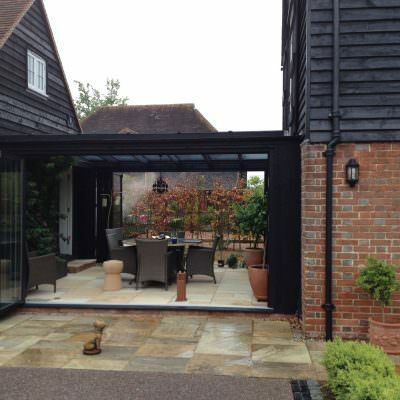 You can configure our bi-fold doors to suit the space available and the aesthetic of your property. They are an extremely flexible design, with the option of more or less doors depending on your needs. A member of our professional and friendly team will be more than happy to help you get the ideal fit for your home, applying expertise where needed to make things as easy as possible for you. Further to this, if you're looking for inspiration on how to make the most of your home, we can help. 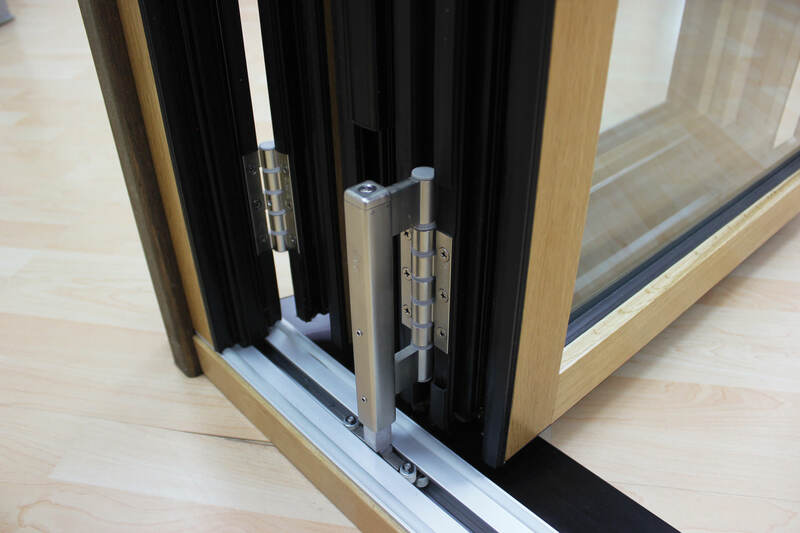 Our timber bi-fold doors are low maintenance meaning you won’t have to spend time or money on their upkeep. Offering a rich and natural look, your bi-fold doors will be the envy of all the neighbourhood that will help to bring the best of heritage looks and modern performance. 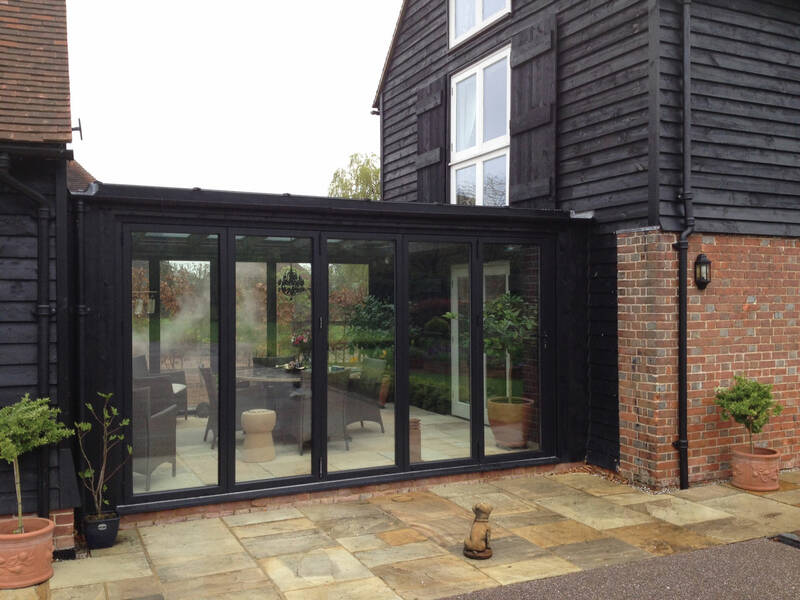 Our timber bi-fold doors are long lasting with an extended lifespan meaning you can enjoy them for years to come. 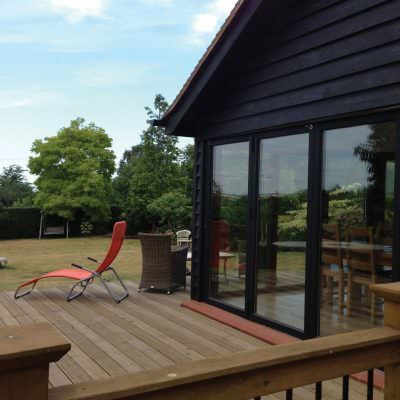 They make a worthwhile investment to your Essex property, performing well all year round. You'll be able to enjoy the benefits of these doors time and time again. Because timber is a natural insulator, you will find that your heating costs decrease and the temperature of your home remains comfortable and warm all year round. Keep those winter winds at bay with a beautiful look. Because timber is a sustainable resource it has a reverse carbon footprint. It stores more carbon and releases oxygen making them a great contribution to a greener environment: giving you complete peace of mind. Our double glazing will provide excellent levels of thermal and acoustic insulation, with options of adding textured or coloured glass for more control over privacy and decoration. You'll have the freedom to choose. 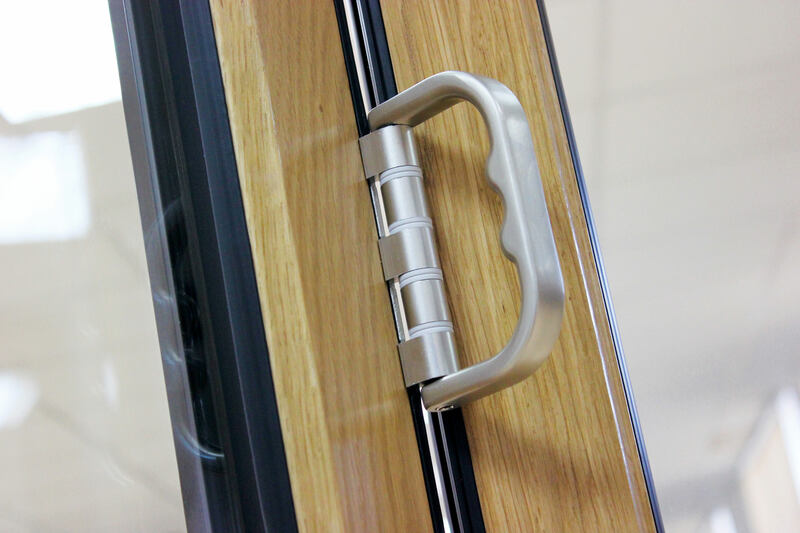 All of our profiles feature high security locking mechanisms by default making them a robust and protective door solution for your Essex home. This combines with the inherent strength of timber to keep things consistent. 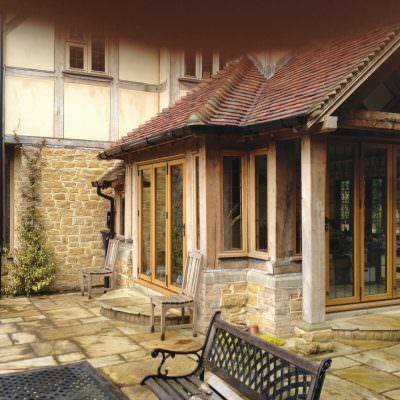 Our timber bi-fold doors are effective for both residential and commercial properties. A popular use for them includes the shop front, with restaurants and cafes opening up the entire front of their premises. 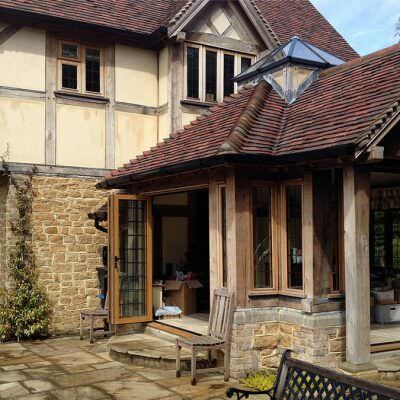 Our expert team are well versed in the installation of timber bi-fold doors, ensuring you get the perfect fit every time. We always work to minimise the disruption to your daily life, allowing you to enjoy the doors sooner and easier. Whether you’re looking to bring a classic timber bi-fold door look to your home, or something that is a bit more contemporary, our range of colour options is sure to offer you something to suit. All of the colours are applied with a highly durable coating to ensure they don’t flake or peel over time. 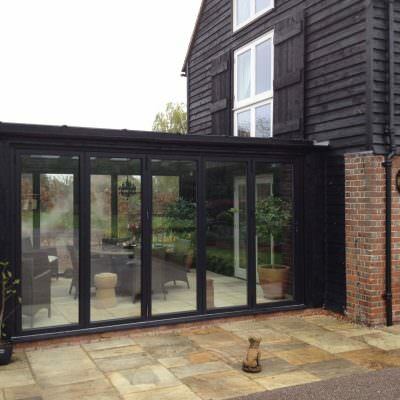 We are experts at installing timber bi-fold doors throughout Hockley, Essex. Get in touch today for a personalised quote, tailored to your bespoke door. Our competitive prices are tough to beat. 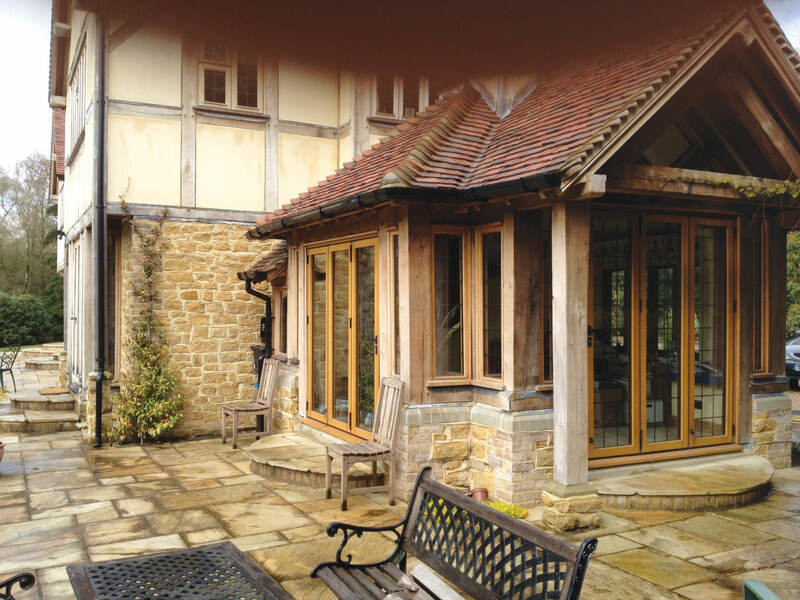 Our team of specialists are ready to help you, providing guidance along with a no obligation to buy timber bi-fold door quote. Contact us today by booking an appointment, filling out our online contact form or give us a call on 01702 205 853.